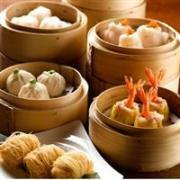 Treat yourself to an a la carte buffet of dim sum, roast duck and other Chinese dishes every weekend at Jing Restaurant in Singapore. The buffet is available from 12pm – 2:30pm every Saturday, Sunday, and public holidays. The cost is SGD48 (USD38) for adults and SGD24 (USD18) for children age 4 – 16. A 10% service charge and 7% taxes are additional. Reservations are recommended. Starting January 15, 2012, Singapore Airlines will operate its New York – Frankfurt – Singapore route using the Airbus A380. The A380 is the world’s largest aircraft and known for being spacious and quiet. Round-trip economy fares to Singapore start from EUR789 (USD1,040) from Frankfurt and USD1,321 from New York. These promotional fares are valid on select travel dates through June 9, 2012. 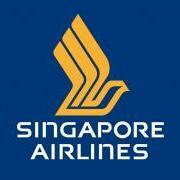 Fly from New York, USA, to Singapore in style with Singapore Airlines. Promotional prices start from USD1,322 for round-trip economy class fares including all taxes and surcharges. Fares are USD50 more for outbound travel on a Friday, Saturday, or Sunday. Promotional fares are available on select travel dates now through March 31, 2011. Free Luggage Allowance when you fly Tiger to Singapore! Receive a free checked luggage allowance of 15kg when you fly Tiger Airways to Singapore or one of its other Asian destinations. One-way fares to Singapore start from USD20 from Kuala Lumpur, USD31 from Jakarta, USD40 from Phuket, USD70 from Hanoi, and USD80 from Manila. Taxes and fees are additional. To receive the free luggage allowance bookings must be made by October 26, 2011. From October 10, 2011, the low-cost carrier IndiGo Airlines offers direct daily flights from India to Singapore. Promotional round-trip economy fares start from USD205 from Mumbai to Singapore and USD307 from New Dehli to Singapore. Quoted prices include all taxes and airline surcharges. Promotional fares are available until sold out on select dates through December 20, 2011. Singapore Airlines is offering discounted fares for travel between Los Angeles, USA, and Singapore. Fares for round-trip economy class travel start from USD1,021 inclusive of all taxes and surcharges. This is a non-refundable fare and a fee of USD20 will apply for any changes. This promotional fare is available on select travel dates now through November 30, 2011. Effective September 6, 2011, Tiger Airways offers direct flights between Cebu, Philippines, and Singapore. Cebu is part of the Visayas island group and is known for its beautiful beaches and resorts. There will be one flight per day in each direction with flying time of 3 hours and 40 minutes. Introductory one-way fares start from SGD70 (USD57) inclusive of taxes and surcharges. Fly from London, UK to Singapore for as little as £818 (USD1,345) with British Airways. This is a round-trip economy fare inclusive of all taxes and surcharges. This fare is available on selected dates from now through November 30, 2011. Advance bookings for travel in 2012 are even lower with fares starting from £770 (USD1,265).